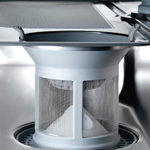 The hardness of water supplied to your commercial dishwasher can have a considerable impact on machine longevity and wash results as hard water creates limescale deposits, both on machine components and washed items. That’s why most commercial dishwashers are designed to operate in connection with a water softener. 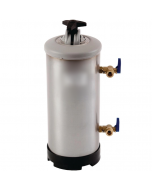 A water softener is an appliance which removes calcium, magnesium and other ions from water to leave pure, fresh clean water (often referred to as soft water). This resulting water helps to ensure water compatibility with soaps and detergents and extends the lifetime of plumbing and appliances. Installing a water softener will add protection to any plumbing equipment as it will reduce the amount of calcium deposits and other build-ups such as limescale which can degrade pipework, block joints and generally cause damage or complications. This is particularly prevalent with high-pressure systems and those which use heating elements or heat exchangers to heat or cool mains water, for example, kettles, water boilers and ice makers. Commercial dishwashers and glass washers are also particularly affected as they use high pressures, heat water and rely on balanced detergent and soap chemicals to function correctly. As a result of this, there is a requirement that all commercial dishwashers and glass washers are fitted with a water softener to preserve machine longevity and ensure consistent wash results. Failure to do so could invalidate your warranty, reduce system performance and increase operational costs. 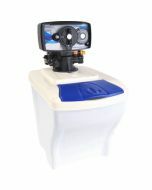 All installations will benefit from a water softener. Whether you require a water softener will depend on the area that you live and the hardness of your water. Only areas where water is extremely soft will be able to operate a machine without a water softener and not invalidate a warranty. 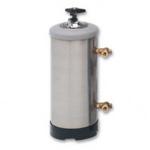 There are several different types of water softener that are commonly used in catering environments or commercial kitchens. Manual water softeners require regular regeneration with salt. Regeneration refreshes the resin and removes harmful deposits which build up inside the unit. Units are generally cheaper to purchase but the ongoing costs of regeneration (and risk of failing to do so) generally make them more expensive in the long term. 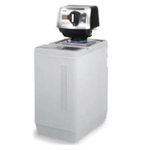 Unlike traditional water softeners, automatic units do not require manual regeneration. Time controlled software automatically completes the refreshing process. Units typically will be refreshed with brine on an annual basis (depending on usage). Automatic units are generally more expensive to purchase but offer a better return on investment to manual units and reduce risk associated with improper maintenance. Power connectivity is also required. Many appliance manufacturers (particularly commercial dishwashers) are also starting to install water softeners inside appliances. These internal units do not affect machine dimensions and generally use the same technology as a manual water softener, requiring salt to be added regularly. The size of water softener that you require will depend on the amount of water that you use. All water softeners are compatible with all machines but will require more (or less) frequent washing depending on capacity and sue. Typically, we recommend small water softeners (between 8 and 10 Litres) for small glass and dishwashers up to a 400mm basket. For larger appliances (and commercial dishwashers over 500mm basket size) we recommend larger water softeners between 11 and 15 Litres).